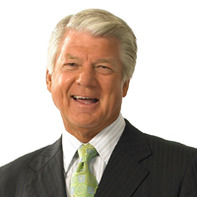 Jimmy Johnson is the architect of the Dallas Cowboys' consecutive victories in Super Bowls XXVII and XVIII, a former Miami Dolphins coach, and member of Fox's NFL Sunday team. The first head coach to win both a National Collegiate Championship and a Super Bowl Championship, Johnson is a proven leader and motivator. Johnson is also the author of the autobiography Turning the Thing Around: Pulling America's Team Out of the Dumps-And Myself Out of the Doghouse, which chronicles his life and coaching experience. It's the ultimate insider's look at football from one of the true masters of the sport. An entertaining motivational speaker, Johnson blends personal anecdotes and experiences to provide valuable, relatable lessons about leadership, team building, and personal excellence. Bob Rauschenberg has spent his entire professional career in the automotive industry. 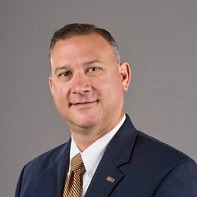 Some of his key positions include vice president of remarketing for two of the largest fleet and lease companies, president of ADT’s auction services division, president of ABC Auto Auctions, and currently as ADESA’s executive vice president of sales and marketing. At ADESA, he is responsible for the development and implementation of strategies to increases sales, sales efficiency and brand awareness, and for maintaining customer relationships. In 2016, Bob was honored with two lifetime achievement awards, the IARA Circle of Excellence Award and the NAAA Pioneer Award. Robin Roberson’s desire to bolster confidence in purchase decisions by online consumers led her to found WeGoLook, an on-demand field services platform with a community of over 45,000 independent contractors across the United States, Canada, Australia and U.K. Today, she has grown WeGoLook to serve enterprise clients across several industries such as: insurance, banking and financial, automotive, heavy equipment and more. Robin sold majority interest in WeGoLook in 2017 to Crawford & Company for over 36M and is consistently recognized as one of the top 10 global influencers within insurtech. With an extensive background in sales, she began her career with the Washington Post, advancing to regional and management positions in Missouri and Mississippi. Returning to Oklahoma, Robin started a consulting firm with primary focus on providing automotive dealerships exposure to the internet and online sales. Her e-commerce experience and development of enterprise solutions combined with her early entry into the sharing economy gives her a unique voice in tech and the gig economy. Currently, Robin is a member of The Women President’s Organization and services as a board member for: BancFirst – Board of Directors; BancFirst – Audit Committee member; Creative Oklahoma – Board of Directors; Greater OKC YMCA – Board of Directors; The Institutes Org - The Future of Risk Advisory Board; and WeGoLook – Vice-Chairman. Assistant Vice President of Vehicle Remarketing, Wheels, Inc. In 1989 Darrin Aiken began working for Wheels, Inc. He started in the vehicle remarketing department as a regional sales manager. In 1999 he was promoted to his current position with responsibility for all wholesale vehicle sales, including sales to drivers and employees. Darrin helped develop the WheelsDirect Program. He also launched the Wheels Promotional Sale Schedule with their top performing auctions. Recently he has also taken on title maintenance and vehicle inventory management departments and has successfully integrated both areas into the Remarketing Department. 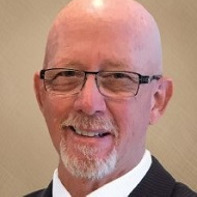 Darrin is a member of IARA, Used Truck Association, National Association of Fleet Resale Dealers, and participates on both the Manheim Client Advisory Board and the ADESA Advisory Board. 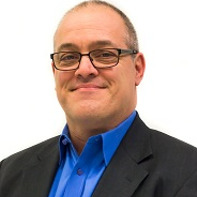 Mike Antich is executive editor and associate publisher for Automotive Fleet Magazine. 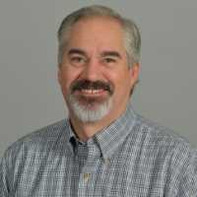 Mike has been involved in the fleet industry for more than 25 years, writing and editing more than 5,000 articles on fleet management, in addition to his active membership in industry associations, including the Automotive Fleet & Leasing Association (AFLA), NAFA Fleet Management Association (NAFA), and the International Automotive Remarketers Alliance (IARA). Mike is a past AFLA president, a 15-year member of the NAFA Foundation Board of Directors, and long-time member of the NAFA Affiliates Committee. 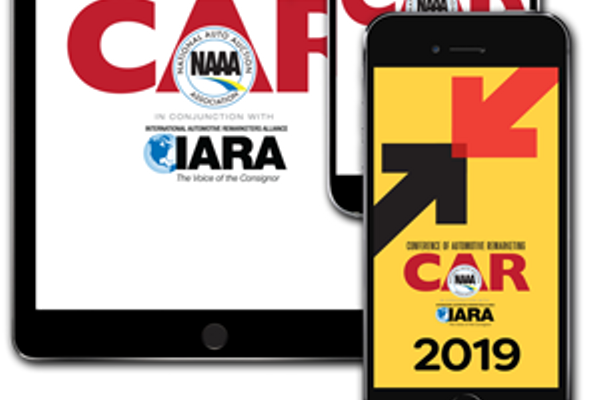 He was chairman of the IARA industry task force that developed the first-ever Certified Automotive Remarketers (CAR) program and has served 10 years on the IARA Board of Directors. 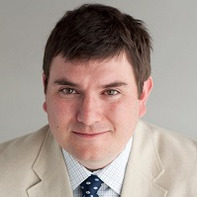 Matt Arias (a Warren Young Fellow) is one of the industry "go to" people. His expertise is used by consignors, auctions and other clients. He is the Co-Chair both NAAA and IARA standards, on NAAA's Membership and Editorial committees as well. He is currently America's Auto Auction's AVP of Operations. He has worked for ADT and Manheim as well. Matt teaches the NAAA Auction Standards Classes which include damage analysis, structural damage and Arbitration. 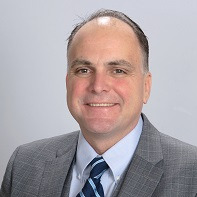 Eric Autenrieth is the Owner of Indiana Auto Auction and General Manager of Carolina Auto Auction and current President of ServNet Auction Group. In addition to growing up in the industry, the auction industry has been his professional career for the last twenty two years. Eric’s leadership in marketing and operational excellence has helped the Stanley Auction Group capture numerous Auction of the Year awards from multiple institutional accounts. Eric is a proud husband and father, and son of NAAA Hall of Fame members Henry and Patty Stanley. Randy has been in the remarketing industry for over 25 years. Randy has spent most of his career managing residual setting, lease end, remarketing and CPO sales for BMW and JP Morgan Chase. 5 years ago Randy came to the auction side of the fence and joined Manheim as a Market/Regional VP. Today he manages the Manheim Auction locations from Minnesota down to New Orleans for Cox Automotive. AuctionVcommerce is a shared resource center providing Independent Auto Auctions with the tools and services to support digital growth. A seasoned entrepreneur, Kelly has spent over 25 years in Business Development, Management, Marketing, and Operations. In 2009, she entered the Automotive Industry as the Marketing and Online Operations Director for Upstate Auto Auction where she developed a comprehensive strategy to advance the company’s online initiative. Since its launch in November of the same year, AuctionVcommerce has introduced the world’s first and only Online Clerk Simulation Training & Certification System. In addition, the company is still the only of its kind providing: multi-channel customer support; AuctionCRM; marketing assistance; a digital Dealer Service Center; and an online auto auction directory and feedback forum. Kelly is also the author of Think Outside the Blocks® – a blog dedicated to coaching the industry on sustainability in a digital age. Sherb Brown is the vice president and group publisher of the Bobit Business Media Fleet Group with 20 years of experience within the fleet industry. Sherb is a member of the Ford Fleet Advisory Board and GM Commercial Sounding Board. With more than 25 years’ experience in remarketing and the auto industry, Chris Clarke joined ARI in 2015. 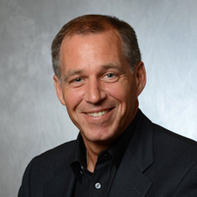 He currently has oversight of Operational Remarketing throughout North America, including management of market sales, heavy truck and equipment sales, direct sales, ARI BuyDirect, and Remarketing by ARI in addition to the management of three Canadian remarketing centers. Prior to joining ARI, Chris’ background included varying remarketing roles for a major rental car company, and sales and operational positions in the truck and trailer leasing industry. Chris is a member of the IARA and holds a seat on the organization’s Board of Directors. He is CAR certified. James serves as Director of Operations at Merchants Fleet. He first joined Merchants in December 2009 as Fleet Service Manager. Today he is responsible for the strategic vision and direction for all operational divisions of Merchants Fleet, which include the remarketing, transportation/logistics, and payoffs departments. 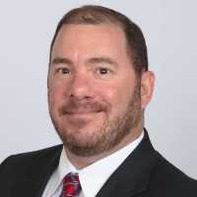 He manages multi-channel operations, tracks and monitors all new and used vehicle inventories, and works with major auto manufacturers and key vendors to establish and develop strong partnerships and relations. In addition to his time at Merchants, James brings over 15 years of prior experience in the automotive industry within the realm of operations. James currently resides in Massachusetts. He currently sits on the advisory boards of the three largest remarketing companies in the U.S.
Dr. Ben Flusberg is an associate vice president in Manheim Decisioning. Manheim is a Cox Automotive company. Flusberg has more than 15 years of experience in technology and business innovation, management consulting, and blending quantitative data analytics with qualitative industry experience to drive client performance and efficiency. 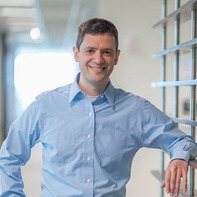 In his role, Flusberg leads a cross-functional team that leverages advanced data analytics, artificial intelligence and machine learning to deliver innovative products and services to the automotive industry. These solutions help wholesale clients make better, more data-driven decisions that ultimately improve their bottom lines. 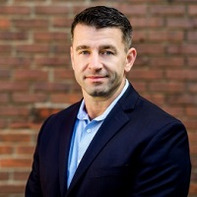 Previously, Flusberg worked for several years at The Boston Consulting Group, where he focused on advising companies in the automotive and technology industries. Earlier, Ben worked at Pacific Biosciences, a Silicon Valley biotechnology firm. 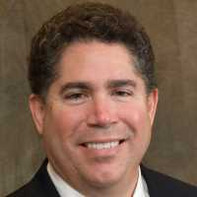 Scott France is the principal at Scott France Consulting and is a board member of The Innovate Companies (Innovate Auto Finance, Loan Portfolio Servicing and CapRock Auto Remarketing). An industry veteran, Mr. France brings over 30 years of auto finance experience and proven success in managing multibillion-dollar loan and lease portfolios. In addition, he is highly experienced in maximizing portfolio performance using the latest technology and best-in-class processes. 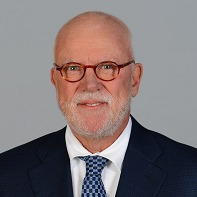 Mr. France retired from daily involvement at The Innovate Companies on January 31, 2019 where he served as Executive Vice President and Chief Operating Officer. Mr. France sold both of the companies he founded, Loan Portfolio Servicing and CapRock Auto Remarketing to Innovate in 2016. Mr. France was VP of Portfolio Management at Triad Financial and Executive Vice President of Portfolio Management for AmeriCredit. He led call center operations with a $6 billion portfolio and more than 1,000 people and was responsible for the bankruptcy, asset remarketing and charge-off recovery areas of the business. Prior to joining AmeriCredit in 1996, Mr. France managed client services for Omni Financial Services, overseeing loan portfolios of more than $1.2 billion in prime and sub-prime auto receivables for multiple clients. As General Manager of Atlanta Market Fleet Services, Alex oversees all operations at the newly formed Manheim Metro Atlanta Fleet Hub, covering everything from in-fleeting, re-fleeting, de-fleeting, cleaning, detailing, fueling and charging, to maintenance, storage, parking and logistics. Fraser also is driving the development of the Cox Automotive Mobility Group’s dedicated innovation labs at the facility, focused on advanced sensor (ADAS and LiDAR) and electric vehicle technologies. 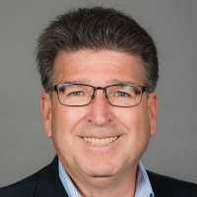 Prior to helping form the Cox Automotive Mobility Group in 2018, he served as the general manager of Manheim Portland, where he was responsible for all aspects of 40+ acre wholesale auto auction for four years. 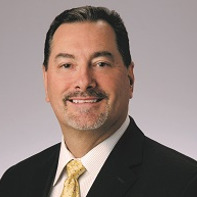 Fraser also worked as assistant general manager of Manheim Statesville in North Carolina, the national client sales support side of the Manheim auction business and various leadership roles in his nearly 20-year tenure with Cox Automotive. 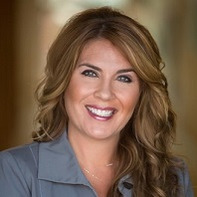 Melanie Glaze is the International Fleet Remarketing Auction and Wholesale Director for U-Haul, a “Do-it-yourself-moving” vehicle rental company based in Phoenix, Arizona. 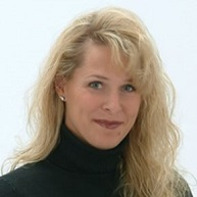 Melanie began her 10-year partnership with U-Haul working with the Fleet Remarketing Team. Two years ago she was promoted to her current role within this team, with responsibilities of wholesale, retail and auction sales for the cargo van and pickup truck fleet. Melanie manages her remarketing team both local and remote, and provides them with the necessary tools need to continuously improve and advance in the market. She is a forward thinker and is an intricate part to the U-Haul Remarketing team. During her tenure with U-Haul, Melanie completed her Associates Degree as a Registered Nurse and in 2018 she graduated from Northern Arizona University, where she received her BSN in Nursing. In her spare time Melanie continues her study of nursing and is many times is on standby as the U-Haul Nurse should a medical emergency arise during business hours. Dan Kennedy joined Jack Cooper Logistics as the senior vice president of business development in June 2017. Prior to this position, Dan was with General Motors holding various positions, the most recent managing the GM remarketing team. Dan retired from GM in June 2017 after nearly 40 years of dedicated service, with the last 31 years of those years in the remarketing area. Dan was elected to the National Auto Auction Association Hall of Fame in 2011 and named the National Remarketing Executive of the year in 2013, and is a Warren Young Fellowship recipient.. 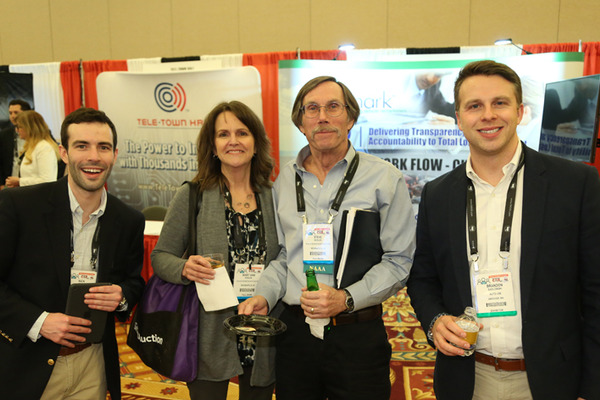 In his current role, he manages the intersection of business and technology for AASC and is involved in key industry initiatives in Used Car Wholesale Arena. 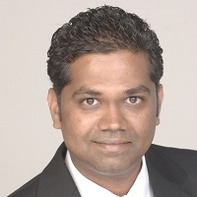 Venkat has 17 years of experience in the auto remarketing industry. He serves as a chairperson for the IARA Technology Committee. Prior to joining AASC, he was a Systems Architect at Delta Airlines and designed products for Revenue Management Portfolio. He holds a Master of Science in Computer Science from Georgia State University, Atlanta and a Master of Science in Chemical Engineering from University of Alabama, Tuscaloosa. Venkat calls Atlanta his home and resides there with his wife and two teenage kids. While not working, he enjoys traveling with his family and experiencing different cultures of the world. As vice president of auction operations, Kurt Madvig is responsible for identifying and leveraging technology solutions to increase the operational efficiency of ADESA auctions across the country. Kurt has more than 25 years of experience in the automotive industry, with over 15 years at ADESA. 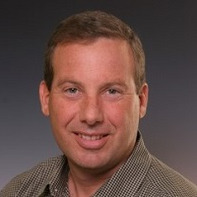 He joined the company in 2001 as general manager of ADESA Long Island. 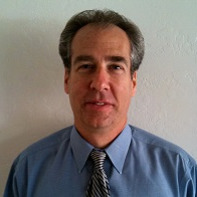 He was named general manager of ADESA San Diego in 2002. Under his leadership, the auction received numerous awards for customer service. In 2006 he joined the corporate office as director of organizational effectiveness, later taking on the role of director of auction operational strategy. He was promoted to vice president of auction operations in 2014. 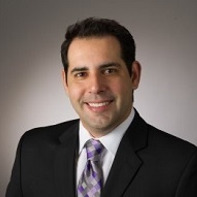 Paul Marquez is Auto Financial Group’s Director of Remarketing & Client Relations. In this position, Mr. Marquez leads the remarketing department and guides business development to expand into new markets. He also oversees the Lease & Auto Balloon End of Term Department for AFG’s own portfolio in both the United States and in Canada. Mr. Marquez has over 20 years of experience in the financial and remarketing fields where he combined passion and skill to drive sales, leadership, and efficient results. Mr. Marquez has proven himself as an accomplished leader and innovator with over nine years at HSBC, one of the top five financial firms in the world, with a $7.3 billion auto portfolio. Mr. Marquez also lead US dealer operations for AUTOonline, Europe’s market leader for online residual value, fleet and damaged vehicles in 20+ countries. 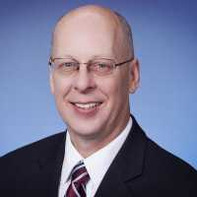 He has most recently served as President and CEO of Countrywide Utility Billing Systems. Mr. Marquez is a forward thinking operational and sales oriented leader, who loves a challenge. He has successfully brought creative thinking, change management, problem solving ability, risk management and people management skills to achieve positive results. He employs both the latest technology and the human element to achieve effective business development, operational, productivity, risk, and cost management results. Tom has been in the auto industry for 38 years. He started in the New Car business and worked his way up the ranks at a GM dealership; this experience transitioned him into the auction industry 29 years ago. Tom worked at GE Auto Auction before they became Manheim where he was in charge of building an auction in Minnesota. He also worked for ADESA where he was a GM and a Regional VP. Tom built Metro Auto Auction of Phoenix 14 years ago from where he recently retired. Tom was an Aviation Major from University of North Dakota. 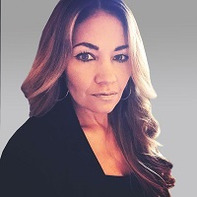 Vice President of Business Development, Auction Management Solutions, Inc.
Cynthia Meyer is Vice President of Business Development with Auction Management Solutions, Inc. Cynthia is a 20+ year automotive industry veteran with diverse remarketing and leadership experience. She has enjoyed a successful career working with auctions and commercial consignors by increasing customer market share, managing operational performance and achieving business directives. Her prior roles included Director of Sales and Marketing with Manheim and ADT, National Sales Director for Dealers Auto Auction Group and Vice President of Sales with Liquid Motors. 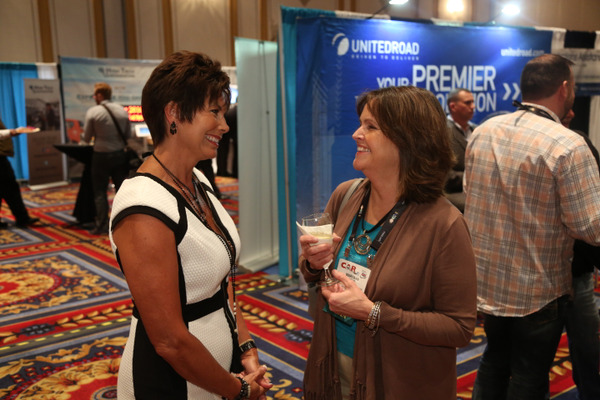 Cynthia Meyer is very prominent on the Conference Planning Committee of International Automotive Remarketers Alliance (IARA) and an Associate of National Auto Auction Association (NAAA). 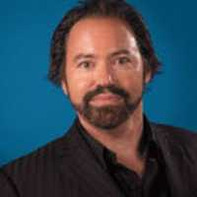 Joe Miller is the Vice President of Client Experience for AutoIMS, the remarketing industry’s standard technology platform that connects auctions and consignors. Now in his 10th year with the company, Miller leads the team that helps clients achieve their goals, blending art & science to maximize returns in the lane at lowest possible expense. Scott Mousaw is the Director of Loss Mitigation for United Auto Credit Corporation, a subprime auto lender based in Newport Beach, CA. Scott has been in the automotive industry since 1994. Scott joined United Auto Credit in 2002 and has held management positions in Branch Operations, Loan Servicing, and Repossessions. 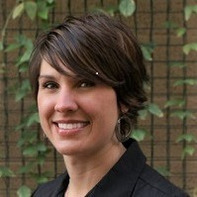 Since 2009 oversees national Remarketing operations for the company. 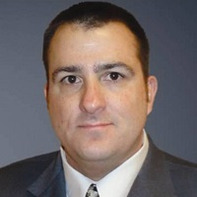 Jeff joined Motorlease in 2002 and quickly advanced to leadership roles in the company. In 2005, Jeff was tasked with leading Motorlease’s purchasing and re-marketing efforts. In 2015, he was promoted to the position of General Manager, Fleet Operations where he oversaw the day-to-day operations of Motorlease’s purchasing, re-marketing, insurance, registration, and maintenance departments. In his current role, Jeff focuses on strategic planning & analysis, relationship management, as well as process development & implementation. Jeff has been a member of IARA since 2012 and a Certified Automotive Remarketer since 2015. Pierre Pons is President of TPC Management and has been in the automotive industry for over 30 years. In 1996, Pons co-founded TPC Management providing project-based consulting and recruiting services to diverse clients supporting the industry. 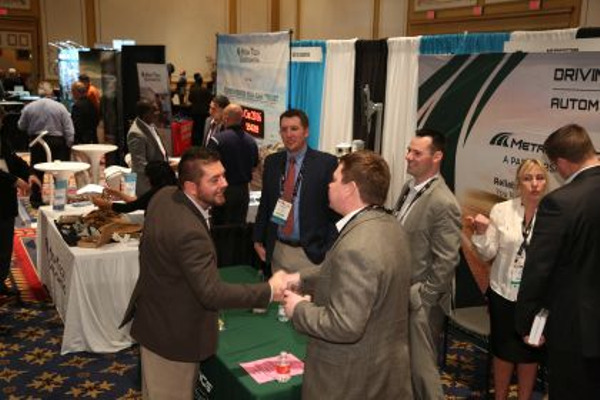 In addition to his consulting work, Pons is also an active presenter at industry events and is active in a variety of trade associations like the National Auto Auction Association. 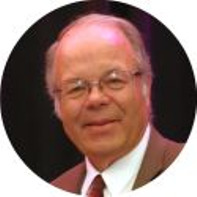 Pons served as board member of the International Automotive Remarketers Alliance and chaired IARA's Ethics Committee. Pierre Pons is CEO of ServNet Auctions and is also the Founder/CEO of Auction Academy. Pons has a Bachelor’s Degree in Finance from the University of Florida and an MBA from Vanderbilt University. John Possumato is in the forefront of automotive technology and the mobility as a service (car sharing, ride sharing) industry. He is recognized by Silicon Valley venture capital firms, software platform providers and other “connected car” equipment providers as a consulting resource. 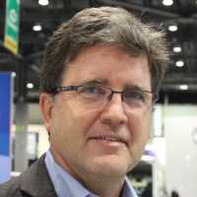 He is a regular contributor to many major trade publications and is an in-demand speaker at industry events on topics of advanced mobile technologies and new mobility as a service business models. Phil Schappert, an industry professional in vehicle remarketing and repossession management, is the Director of Repossession and Remarketing with 1st Investors Financial Services. During the course of his 20 years of industry experience, Schappert has worked with auto finance companies, fleet management companies, and third party service providers. Throughout his career he has continually delivered key KPIs, profitability, strategic thinking, and lean management. Schappert has been serving in his current position with 1st Investors Financial Services since 2018. John has over twenty years of automotive remarketing experience on both the auction and consignor side of the business. 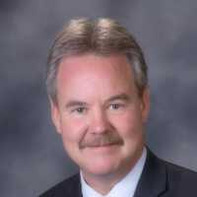 He has held previous management positions with ADESA, Manheim and the Premier Auction Group. 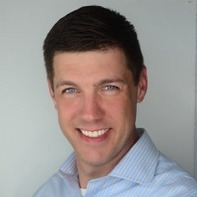 John started with GM in 2014 and transitioned over to GM Financial in 2015 where he currently holds the position of Vice President of Auction Operations in the U.S. John holds a Bachelor’s Degree in Business from Eastern Illinois University and is an IARA Certified Automotive Remarketer. He also currently serves as Co-Chair on the IARA technology committee. Charlie Vogelheim is a 30-year auto industry veteran whose career history includes Kelley Blue Book, J.D. Power, Motor Trend and TPC Management. He is a regular media correspondent and automotive industry commentator for business and consumer news. As a conference host, MC or moderator, Charlie continues development of best practices in remarketing and information transparency. He contributes to the continued success of TPC through business development, industry and client relations. Charlie is on the faculty for Auction Academy. He travels extensively worldwide attending automotive events, test drives and conferences. 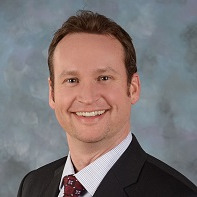 Layne Weber is the director of wholesale fleet sales – Western U.S. for the Avis Budget Group. 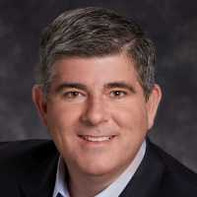 A 25 year veteran of the remarketing industry, Layne was previously the vice president of remarketing sales for Citi Financial Auto, vice president of remarketing for Donlen Corporation, and held various positions with GE Capital Fleet Services. Layne joined the IARA while at Donlen and was served for more than a decade as a board member, vice president, president, sub-committee chair, and chairman of the board.